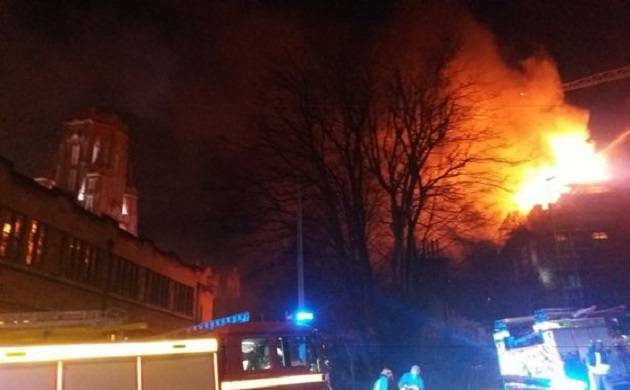 The university confirmed an “ongoing fire” in its Fry Building, which is located close to the Wills Memorial Building - an iconic feature of the Bristol’s skyline. A huge fire broke out on Sunday at a new building of the University of Bristol in the UK, forcing nearby sites to be evacuated. “We’re aware of an ongoing fire in our Fry Building, which is currently being refurbished. Everyone’s accounted for,” the university said in a tweet. “Students have been evacuated from the library,” it said. Several roads around the campus have been closed and police are at the scene.